The Dartmouth Alumni Association of Silicon Valley (DAASV) and the Class of 1977 invite all local Dartmouth alumni/ae to join a wonderful morning docent-led walk in the Palo Alto Baylands Park Nature Preserve. If you haven't explored this gem of a park, you're in for a treat! And if you are quite familiar with it, you'll have a chance to learn more and enjoy it all over again. 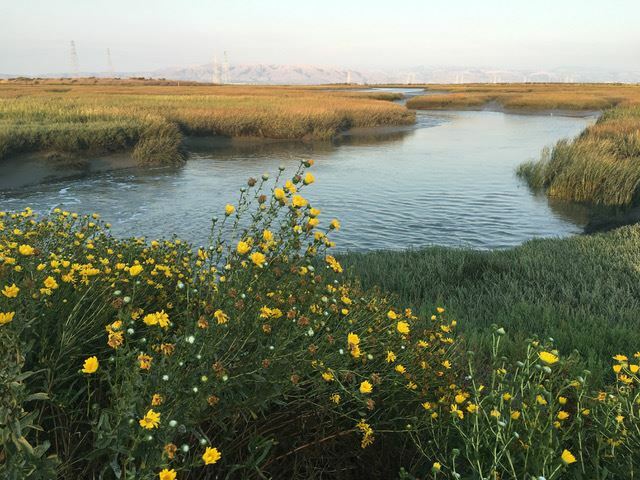 "The 1,940-acre Baylands Preserve is one of the largest tracts of undisturbed marshland remaining in the San Francisco Bay. Fifteen miles of multi-use trails provide access to a unique mixture of tidal and fresh water habitats. Many consider this area to be one of the best bird watching areas on the west coast. The preserve has a substantial resident population of birds as well as being a major migratory stopover on the Pacific Flyway." The trails along the beautiful natural surroundings of the tidal bay marshes offer frequently exquisite views of shorebird wildlife; the not so natural but still appealing hills created by centuries of civilization at the edge of the bay, offer 360-degree views of the surrounding mountains, forests, and water that have created our local climate and make the Bay Area such an appealing place to live for so many. Details: Meet at the Environmental Volunteers EcoCenter at 2560 Embarcadero Road, Palo Alto, 650-493-8000. We will start with a short talk & tour of the EcoCenter led by docents. BYO picnic lunch to follow - bring your own food & drink. Family members and other significant others are welcome to accompany you. Enjoy further walking, running, cycling at the park after lunch, or visit other local attractions.